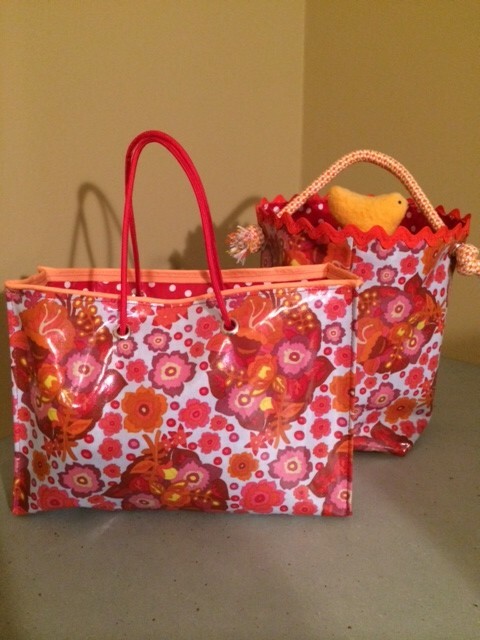 April Calendar, Easter Bags and ?? This is a free pattern on Craftsy. Download link is here. Our sewist got her stretch lace at SR Harris for $.99 a yard. I think there is some at Joann’s too. She’s made a pair for herself (and loves them) and her niece. Maybe something to put in an Easter basket? It’s our April bag of the month. Quick and easy to whip up and made inside and out from laminated cotton. Have fun making them at Chanhassen Vac Center on Thursday, April 17 or 24th, afternoons or evenings (see calendar below) or at one of our Sewing and Serging times at Hancock. Use your fabric or ours.